Antorus, The Burning Throne is the fifth and final raid in the World of Warcraft: Legion. 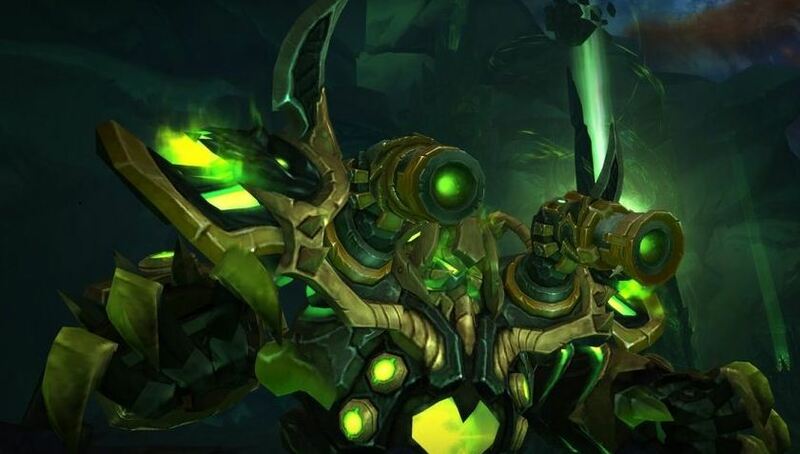 The new raid brings a total of eleven new bosses and in this guide we will give you strategies and tips to tackle the first three bosses of the raid, the Garothi Worldbreaker, the Felhounds of Sargeras (F'harg and Shatug) and the High Command. 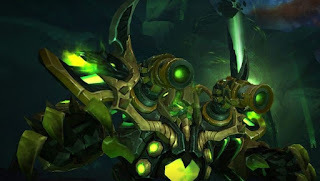 Garothi Worldbreaker is the first boss that you will encounter in the Antorus Raid. You fight only his upper body and his two shoulder weapons. Lineup: The fight should be played classically with two camps: close and ranged fighters, with the ranged fighters it is necessarily to bring to the middle of the platform. This is important to keep the walkways and the outer areas clear for the tanks. The tanks are each on one side of the boss. - Fel Bombardment: The current tank is locked and a missile fired at the targeted tank every one second for 5 seconds. The missiles cause high damage (fatal for any non-tank) and repel 7 meters. The ability requires a tank change. * The missiles have a short distance air time that is why the tank should bring close to the boss before the first impact, so as not to be killed by chain attacks. It is enough to run away in a line to the side of the boss. - Decimator: When random players are targeted by Decimation, leave the area short time later as the targeted area explodes a few moments later, inflicting moderate damage to targets within the entire raid. * Affected targets should move out of the group and place them slightly laterally of the camps, preferably on the currently inactive side of the boss. However, the area is large enough to provide the tanks with evasive options. - Annihilation: There are three small circles appear in the area, one of which usually occurs near the melee. In each circle, 2-3 (larger raids 3-4) players must get to the Annihilation to intercept the damage of the incoming missles. * If a missile is not avoided, it deals great damage to the raid. Intercepting players receive a strong damage-over-time spell that must be counteracted by the healers. - Apocalypse Drive: At 65% and 25% Health, the Worldbreaker Apocalypse Drive acts. This is a spell cast over 20 seconds that deals damage to all players every 4 seconds, and immediately extinguishes the raid when expired. * In order to break the spell, one of the bosses’ shoulder weapons must be destroyed: the decimator or the annihilator. If a weapon is destroyed, the corresponding ability is no longer used for the remainder of the fight, but the boss deals 20% (or 40%) more damage. - Surging Fel (Heroic): While the Apocalypse drive is being cast, long, Surging Fel energy / wide streaks appear on the ground, exploding a little later, causing near-fatal damage on all targets in the area. - Eradication: After the apocalypse unit has been interrupted, the boss will hit the ground. This will inflict extremely high damage on all targets, knocking them back 60 yards. The damage decreases with the distance to the boss. * The entire raid should retreat to the other side of the room, except for a tank that has to intercept the blow with defensive cooldowns. If no one is within melee range, the World Breaker Slaughter works, inflicting very high damage to all targets per second. - Searing Barrage: After the first weapon is destroyed, the Fel Reaver inflicts moderate damage to random targets every 2 seconds. * This is a soft enrage that will become the race against time and mana at the latest in the third phase and must be constantly healed. After the second apocalypse drive, the raid gathers right in front of the boss to heal the steady damage. Big healer cooldowns are needed here as the damage is significantly higher. - Increased Annihilation: Annihilation now spawns 7 (or more) circles. The raid should spread to be more mobile, and whenever possible immunity impacts must be intercepted to minimize damage in the raid. - Increased decimation: Three instead of one player are decimated. The raid should gather in a single spot in front of the boss and move closed to the left and to the right as soon as the surfaces appear. Too early exercise can lead to the wipe. The increased decimation is probably easier to play because it is not clear whether the increased destruction generates more circles when the raid is larger. If there are always 7 circles, big raids will be more successful with this tactic. Felhounds of Sargeras (F'harg and Shatug) are the second boss that you’ll encounter in the Antorus Raid. They have a cone shaped forward attack that leaves a stackable debuff that is not stacked high enough to kill tanks immediately. A change of tank is not required, but active mitigation should be used before any activity is performed. At higher stacks also a defensive cooldown. Melee should never stand in front of the bosses, and the bosses should never look in the direction of the raid. All other abilities of the F'harg and Shatug are influenced by their energy bars. Each with 33 and 100 energy (in heroic mode in addition to 66) they have fixed abilities, which make the fight predictable. F'harg usually starts with 0 energy, Shatug with almost full energy. The energy bar of F'harg fills, while the one of Shatug empties. However, the use of the abilities is only dependent on the level of the bars, so they are each acted upon reaching the level (forward or backward). This leads to some overlaps. - 33 Energy - Consuming Sphere: Shatug sends a Sphere toward a player who attracts players and deals damage. Inside, you get a stackable debuff that increases damage taken by this ability by 75%. The sphere simply has to be dodged. - 66 Energy - Weight of Darkness (Heroic): Random targets are covered under the weight of darkness, which slows them down increasingly and stuns them for 20 seconds after 5 seconds. This duration is split to all targets within 8 meters, with at least 3 targets the fear effect is neutralized. * Here it makes sense to work as a team and simply weaken the spells in the group (Ranged and Ranged Camp). Even tanks can be affected. In Shatug then the melee should help, in F'harg mobile ranged. The fear effects can also be disenchanted. - 100 Energy - Siphon Corruption: Shatug inflicts regular damage to the entire raid over 9 seconds and deals with random players with deprivation. Withdrawal inflicts very high damage to the target, split among all targets within 8 yards. Again, collect in two camps to split the damage and facilitate healing. - 33 Energy - Desolate Gaze: F'harg targets random players, drawing a visible line to all marked players. Out of these, manifestations break out shortly thereafter, causing damage and knocking back. The surfaces should not be stacked and distributed so that no one else is hit. * Since the raid should have already collected in the middle, it is easier for affected players to take the effect out of the group. - 66 Energy - Molten Touch: Random targets are stunned for a short time and thrown into the air. Meanwhile, they take regular damage and they produce fire bullets, which land a little later and inflict high damage in the target area. * This is to avoid the areas and heal affected players so they do not die from the damage over time effect. - 100 Energy - Enflame Corruption: Adds Corruption to all players over 9 seconds, randomly distributing the Debuff. Enflamed players explode after 4 seconds, inflicting damage to all nearby targets that are not split. Players should be away from the group before the end of the game. - Consuming Sphere and Enflame Corruption: To prevent players from being drawn to other players with the bomb, the raid should be distributed in advance. Abilities that increase the movement speed are very useful here. - Siphon Corruption and Molten Touch: This combination is one of the hardest in combat. In order to master them, the camps should, as usual, be grouped into corruption, then, when molten contact is used, run to a pre-determined point to escape the fire bullets. - Enflame Corruption and Weight of Darkness: Priority here is that the Darkness effects should not be triggered. Players can be affected by Enflame and the burden of darkness at the same time. In this case, the damage of the bomb must simply be endured by other players. - Enflame Corruption and Siphon Corruption: For this overlap, the great healer cooldowns must be lifted. The important thing here is that the fire bombs don’t blow up the raid. Affected players must respond immediately and carry the debuff to the outside. If a player is affected by Enflame and Siphon at the same time, he must either intercept this with immunity or be sacrificed, as the healing required can no longer compensate for death in this phase. The High Command comes with three bosses with split life, of which only one is available at a time. About every 90 seconds another boss is appeared while the previous one disappears. The bosses share a set of abilities when they are active and have unique abilities when slumbering in the pod. While a boss is active, his pod is free and can be used by players to use the abilities against the enemies. Players in the pod get 2 skills. The first ability is available in each pod, dealing moderate damage to a target and increasing the damage taken by 1% (stackable 15 times). This works best on the boss. The second skill varies from boss to boss and is dealt with in phases. While a player is in the pod, he takes steadily increasing damage. After about 30-40 seconds the players should take turns. After leaving the pod you cannot enter a new pod for the time being. Position: At the beginning, Admiral Svirax is refueled in front of her pod and then slowly circled clockwise until in front of Ishkar's pod. The raid stands loosely in the corners of the room. Ishkar appears, this is pulled to Erodus' pod and the raid follows directly on the boss. Erodus in Phase 3 will then be drawn to the next pod, just like Ishkar, with the raid only coming together for the Withering Fire. - Exploit Weakness: The active boss deals an attack in a cone shaped area in front of him, dealing high damage and increasing physical damage taken by 50% for 20 seconds. This effect is stackable, so if there are about 2 stacks should be a tank change. - Chaos Pulse: Inactive bosses use their pods to fire 3 shells, dealing damage to random opponents and casting a spell on them. The spell increases the damage taken by 1% for 6 seconds and is stackable 15 times. This ability can be largely ignored, with the debuff removed later. In the first phase of the fight Admiral Svirax is active, while the chief engineer Ishkar and General Erodus remain in the pods. - Summon Reinforcements (General Erodus, Pod): General Erodus calls on two enemies who appear roughly close to the active boss. These extra enemies can be eliminated by passive splitting and AoE spells, but need a little bit of attention. * The fanatical Pyromancer must be interrupted whenever she acts Pyroblast. * The two shock troops can be largely ignored. They storm one of the three farthest targets and then act on Bladestorm on the way back. As long as you are not near them you are not in any great danger. - Entropic Mine (Chief Engineer Ishkar, Pod): Ishkar distributes 5 mines in a small area around a player, which are triggered when approaching 6 yards. When triggered, it inflicts heavy damage to all nearby players and distributes a stackable damage-over-time spell on all players in the raid. * If single mines are triggered that does not matter, but several should not explode one after the other. The damage is otherwise almost impossible to cure. The clockwise movement helps against the limited space. - Admiral's Pod - Withering Fire: While Svirax is active, a player can take control of their capsule to inflict High Damage to additional summoned demonic enemies and increase their damage taken by 25% for 10 seconds. * The ability is especially useful for quickly killing Pyromancer. In the second phase, the summoned opponents of General Erodus continue to emerge and his mines remain, but no further ones appear. Instead, Admiral Svirax works her capacity. - Withering Fire (Admiral Svirax, Pod): Inflicts moderate damage to the entire raid and targets the Admiral. Targeting increases the damage of all other Withering Fire by 25% for the remainder of the battle. * This ability is the soft enrage of the boss fight. - Engineer's Pod - Fel Shield Emitter: The ability invokes an interactible object that creates a dome in use that reduces the damage done by fire by 50%. All players should therefore be close to the boss (with the exception of 3 ranged fighters who pull the shock troops out of the raid) to get the shield. Three shields are enough to survive this phase, but the ability should be used on cooldown to provide objects for the upcoming phase. The engineer's pod will then be unavailable, but withering fire will still be used. The three additional emitters are placed on the general's pod and used only when needed. Since the general is active in the third phase, no additional enemies will appear. For this, Ishkar will again distribute mines in the room, and Svirax will continue firing withering fire. That's why three emitters were left over from the previous phase. - General's Pod - Summon Disruptor Beacon: Creates a disruptive field that prevents enemy spell work, slows enemies and destroys entropic mines. From here, the battle repeats until either the bosses bless the clock, or the accumulated stacks of Svirax make the withering fire so strong that it simply wipes out the raid.